Did you know that the Department of Defense regulates a portion of your community bank’s lending activities, and that changes were recently made to the rule? The rule impacts all financial institutions and important compliance dates are coming up quickly. Compliance with the final rule implementing the Military Lending Act (MLA) is required by Oct. 3, 2016, for the majority of credit products. For credit cards, compliance is required by Oct. 3, 2017. The regulations implementing the amended MLA can be found in 32 CFR Part 232. In essence, the Department of Defense amended its MLA regulation to define consumer credit consistently with the Truth in Lending Act and its implementing Regulation Z. This amendment allows the MLA requirements to apply to a wider range of credit products that currently fall outside of the law’s scope. The rule requirements apply to covered borrowers who are also covered members of the military. There are a few significant provisions of this new rule that community bankers must take note of. First, the MLA caps the amount of interest that a lender may charge on consumer credit at 36 percent. This Military Annual Percentage Rate (MAPR) cap will now apply to a wider range of closed-end and open-end credit products due to the new definition of credit the MLA adopted. Second, the lender must provide detailed disclosures, including all disclosures applicable to a specific credit product under Regulation Z, a statement of MAPR and a description of the borrower’s payment obligations. Finally, the safe harbor provisions were amended to allow a creditor to use their own method of determining coverage (see Safe Harbor section below). Banks must determine whether a credit applicant is a covered borrower at the time the consumer becomes obligated on a consumer credit transaction or establishes an account for consumer credit. Consumer credit under the MLA now has the same definition as under Regulation Z, meaning primarily for personal, family or household purposes, that is subject to a finance charge or is payable by a written agreement in more than four installments. On Oct. 3, 2016, all forms of vehicle title loans, installment loans, unsecured open-end lines of credit, payday loans, refund anticipation loans and deposit advance loans become subject to the requirements under MLA. Your bank has until Oct. 3, 2017 to comply with these requirements for credit cards. any credit transaction when it is determined that a consumer is not a covered borrower by using a safe-harbor method. Who is a covered borrower? A covered borrower is always a consumer. If that consumer, at the time he or she becomes obligated on a consumer credit transaction or establishes an account for consumer credit, is a “covered member” or a dependent of a covered member, then he or she is deemed to be a covered borrower. This definition requires banks to also understand the concept of a “covered member.” A covered member is a member of the U.S. Armed Forces who is serving on active duty or who is serving on active Guard or Reserve duty. any person over whom the servicemember has custody ordered by a court. Some of these dependents may need to meet other conditions in order to qualify as a dependent for the purposes of the MLA (see 10 U.S.C. 1072(2) for details). The MLA rule prescribes two methods for conducting a covered-borrower check. The first method is to use information obtained from the Department of Defense’s Defense Manpower Data Center’s (DMDC) database. The second method is to use information obtained from a qualified nationwide consumer reporting agency record (e.g., included on a credit report). The MLA rule does not require a specific method to be used to determine a covered borrower, thus lenders are permitted to use other methods. However, the safe harbor applies only if a lender uses one of the two determination methods specified in the MLA. Under the rule, lenders must also timely create and maintain a record of the information obtained from the DMDC database or from a consumer reporting agency. Generally, the determination must be made no more than 30 days prior to the date a consumer applies for credit. This provision provides for changes to a consumer’s status of serving in the U.S. Armed Forces and ensures that banks will make a determination based on current information available to it. The MAPR is capped at 36 percent for covered transactions. This calculation is different from the finance charge calculation that Regulation Z requires be disclosed for all consumer loan transactions. In simple terms, the MAPR is more inclusive than the finance charge calculation and includes several loan fees and charges that would not be considered part of the finance charge calculation under Regulation Z.
any participation fee (except as provided in special rules for open-end credit). For credit card accounts, creditors who offer consumer credit card accounts may exclude from the MAPR any “bona fide” and reasonable fees, other than a periodic rate. For example, the application fee, participation fee, annual fees and balance transfer fees may be excluded. Credit insurance and debt protection premiums and fees, and credit-related ancillary product fees must be included in the MAPR calculation for credit cards regardless of whether they are bona fide and reasonable. In addition to providing a covered borrower with the traditionally-required Regulation Z disclosures, banks must also provide “a statement of the MAPR” and a clear description of the payment obligation. A “statement of the MAPR” applicable to the extension of credit must be provided both, in writing and orally. The statement must describe the charges a lender may impose, but it does not need to include a numerical value or dollar amount of the charges included in the MAPR. A model statement is outlined in the regulation. The MLA also prohibits requiring a borrower to waive his or her right to legal recourse, to submit to arbitration, or to waive rights available to the borrower under the Servicemembers Civil Relief Act. any other relief provided by law. In addition, a person found to have violated the requirements will be held liable for the costs of the action along with reasonable attorney fees, as a court determines. If the violation was unintentional and resulted from a bona fide error, no civil liability will be imposed. The Service members Civil Relief Act protections remain unchanged and are not affected by the amended Military Lending Act and its implementing regulation. 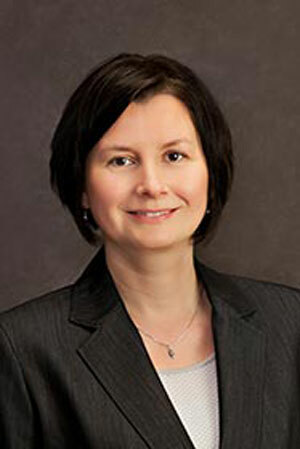 Ania Scanlan (ania.scanlan@icba.org ) is vice president, education seminars, Community Banker University at ICBA. Take a deep breath—you’ve got this! Familiarize yourself with the requirements of the final rule and the implementing regulation. Determine any process and system changes, and the budget that may be needed to comply with the new requirements. Determine how consumer loan applicants will be screened to determine “covered borrower” or “covered member” status. In other words, determine whether a safe harbor method will be used by the bank to determine classification. Contact the nationwide credit bureau(s) your bank uses to pull credit reports to determine whether the bureau will be able to provide your bank with the safe harbor information. If the Department of Defense database will be used to verify borrower military status, update bank procedures and resources with the official Web link: https://mla.dmdc.osd.mil. Check with your loan platform or loan documentation system to determine whether it will calculate the Military Annual Percentage Rate and generate the Military Lending Act disclosures. Update procedures and provide training to staff and management. Document your process changes, procedures and training. Be ready to start your bank’s new process by the compliance date of Oct. 3, 2016, for majority of consumer credit products, and by Oct. 3, 2017, for credit card products. Then, periodically audit the process to ensure all procedures function as intended.